Aligning their brand with Explorer’s comprehensive and authoritative guide, Cleveland Clinic Abu Dhabi took advantage of our range of customisation options. They worked closely with Explorer’s expert designers to create a bespoke cover for our Abu Dhabi Residents’ Guide which features their company's distinct branding. 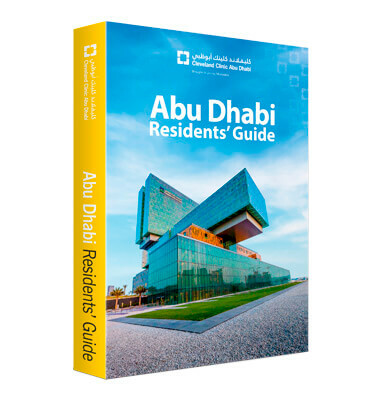 Packed full of all the information residents require to live life to the fullest in the capital of the UAE, the guide is an excellent resource for employees and new recruits.